I was honored to participate in this year’s National Organization of Black Law Enforcement Executives (NOBLE) Annual Conference in Hollywood, Florida. 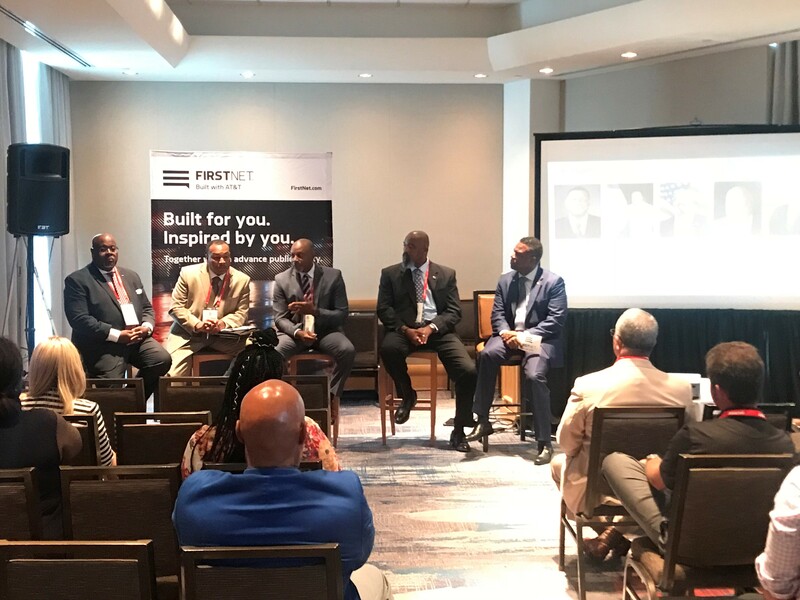 During the conference, I was part of a panel presentation about FirstNet, with executives from AT&T and representatives from Atlanta and DeKalb County, Georgia. One of the questions I got during the panel, was; “What makes FirstNet different?” After all, there are other carriers that can provide phone and data services to law enforcement. FirstNet is being built for public safety in direct response to public safety. Public safety advocated for a dedicated communications ecosystem to solve challenges that they still face today -- and that’s exactly what FirstNet is delivering. FirstNet is a separate wireless communications platform operating on a physically separate, dedicated core that is purpose-built for public safety, and based on public safety’s specifications and requirements. FirstNet is committed to expanding into rural areas -- something other carriers do not have an incentive to do. I could go on, but essentially, FirstNet is different because it is truly public safety’s dedicated network. Just as FirstNet is a really different network, NOBLE is a really different conference. I take away something valuable from each event I attend, but there is one thing NOBLE does so well: Its focus on self-improvement, building relationships, and being part of the community. NOBLE builds in a lot of time to create and foster relationships, and focuses on community and populations like young people and even retired officers who are key cross-generational connections for departments and agencies. The NOBLE Youth Leadership Conference for teens between 14 and 18 is always a part of the NOBLE Annual Conference. NOBLE really sees the importance of police having strong ties to the community and connections to youth. The youth programing focuses on building relationships between young people and police and encouraging more young people of color to consider police work so departments better reflect the populations they serve in the future. NOBLE reminds us of the importance of connection – with each other as responders and with the community. FirstNet is another powerful tool to help build and foster those key connections. Not only will it help keep law enforcement officers safer and make them more situationally aware and effective, it can also strengthen community ties by making it easier for agencies to exchange and share information with the public. With ever more powerful technology, we can’t forget the power and importance of the human side of police work. I’m grateful for my time at NOBLE’s conference for bringing that back into focus.